October 9, 2015 October 5, 2015 Amanda B. As we are continuously working on our counting skills throughout the school year, I have to come up with new center ideas pretty frequently. 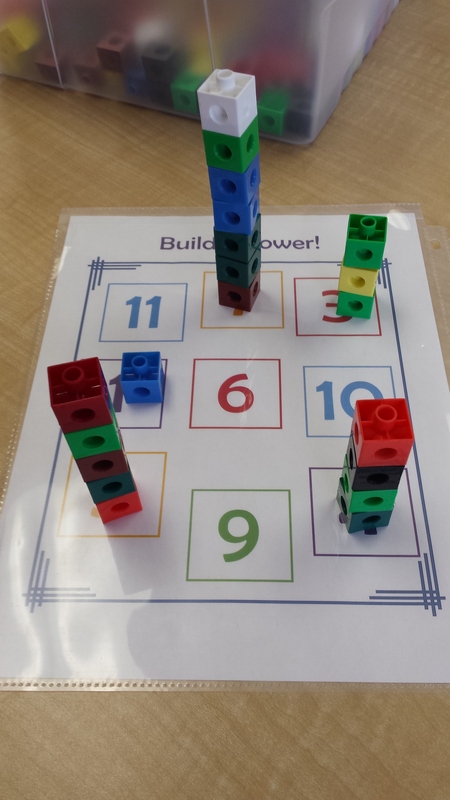 I made up these Build a Tower! worksheets after watching students build all kinds of towers using different materials. 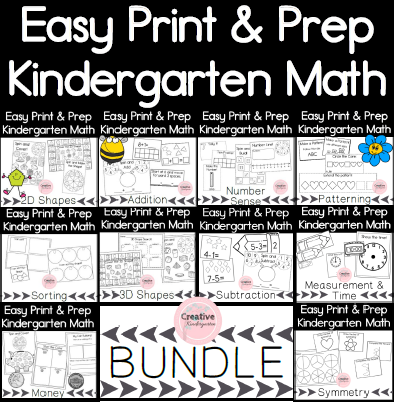 I have seen similar tower building math center ideas on Pinterest, but I like having colourful worksheets for the children to work on, especially when they are going to be used over and over again (I am a frequent visitor to the laminator- I make a lot of centers and they get a lot of use, I want them to last year after year). These worksheets are simple. Each sheet has nine squares on it, and each square has a number in it. 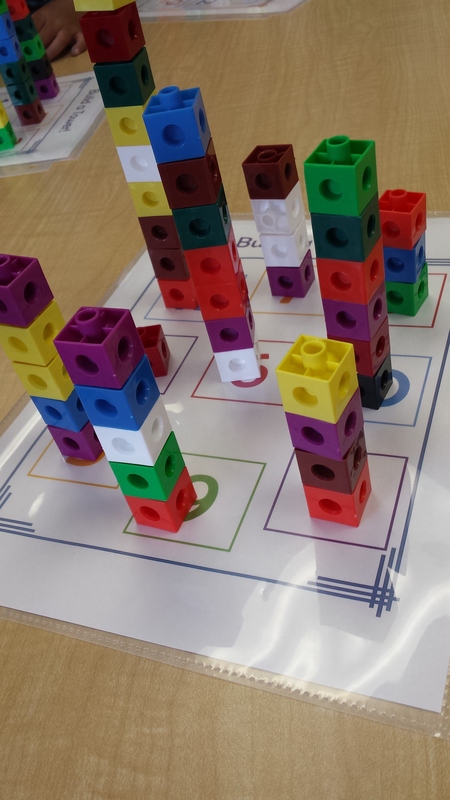 The task is to build towers on each square using the number of blocks (or unifix cubes, Lego, Megablocks, Duplo… anything that can make a tower) indicated by the number. There are two different sheets with different numbers on them, and each sheet comes in colour or in black and white (not everyone shares my love of colour photocopying!). What is your favourite learn-to-count-activity? Please share in the comments below, I am always looking for new and fun ideas!